I'm a big fan of Stargate. I'm not a huge fan of the movie - the idea was great but I thought the actual film was a bit flat - but the TV shows were awesome. SG-1 was great fun, Atlantis was a great companion show and Universe may have took itself a bit too seriously and become a bit thin on impetus in the second season, but it was still a solid show. The characters, stories and adventures were fun and exciting, and I followed it quite closely. 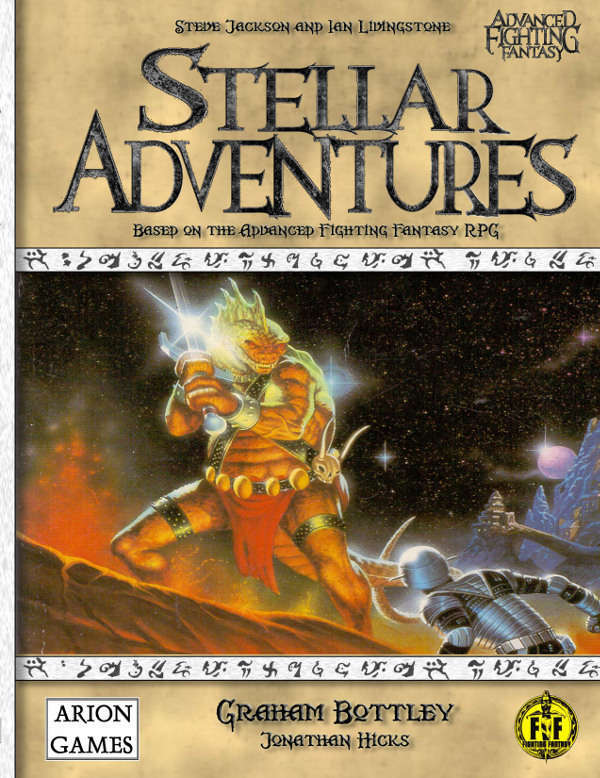 The very premise of Stargate, the idea of a team of people with various skills going from world to world having a series of adventures, screams out for an RPG. I never played the official Stargate game, but as with every science fiction setting I thought the cinematic action of the D6 system was a good fit for the setup. John Tynes wrote the game for West End Games just before the company collapsed, and he put his unfinished work on his website here. Afterwards, The Snake Farm took the rules and fleshed it out, adding some of Andy Slack's work to fill in the gaps. 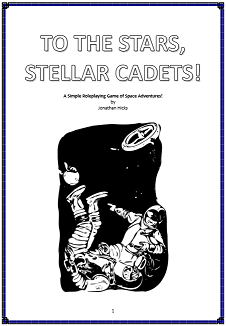 What we have is a pretty much fully complete Stargate D6 RPG, and it's a pretty good system, free to download in it's entirety from The Snake Farm here. All it really needs is some artwork and it's good to go. I'd run it in a heartbeat. 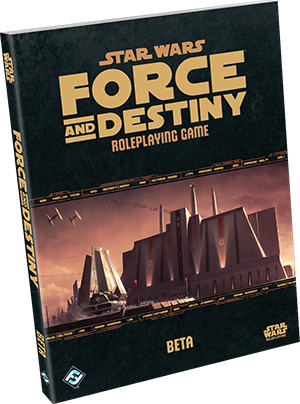 The Force and Destiny Beta Rulebook is the precursor to the full roleplaying game due out from Fantasy Flight Games soon. It’s the final book in the series of core rulebooks and it’s probably one that a lot of fans have been waiting for. This rulebook covers the powers of the Force and the people that wield these mysterious abilities. First off, the cover is really cool and atmospheric. The image of the Jedi Temple with an Imperial shuttle parked outside is impressive and very telling; the Empire control everything, and this former bastion of the Jedi Order is now in their hands, their power gone from the universe. It’s a very good indicator of what to expect in the book. And what you get in the book is just that – the era when the Jedi Order was diminished and the only two fully-fledged Jedis were hiding on a desert world and a swamp planet. The players get to play force users not at the height of their abilities, but fledgling force users in danger of being hunted and destroyed by the agents of the Empire. If you had any ideas about your PC giving someone a hard stare, igniting your lightsabre and leaping impossibly high into the air to bring untold lasersword destruction on your foes, you may be somewhat disappointed. The game is written with the idea that the PCs can use the Force and are trying to keep true to the old Jedi way, hunted and constantly in danger. This makes for some great roleplaying opportunities; do you use that power and give yourself away? Are the people trustworthy, or will they sell you out to the Imperials for a few creds? Are your team members trustworthy? It certainly would make for some great drama, but this is Star Wars and jumping about the place Force-pushing bad guys off ledges and blazing a trail through the enemy with a sabre is pretty much a must, surely. This book doesn’t really cover that but that’s not to say that you can’t adapt it to take place in your chosen era, such as the Clone Wars or The Old Republic. It’d take a lot of work but it’s totally possible. There are new rules for using the Force, as well as a new mechanic about Morality - so that you know if you’re bending to the Light or the Dark side of the Force. This is a nice little mechanic that encourages roleplaying so that PCs don’t just turn into Force-choking killing machines, and it even encourages playing the Dark side of the Force so that you can have a go at being devious and calculating, and even allow for the age-old redemption storyline. There are six Careers in the game; Consular, Guardian, Mystic, Seeker, Sentinel, and Warrior. Along with these we get Force powers to use, all in line with the original film trilogy. So, what we have here is a good book with the atmosphere and feel of the previous two rulebooks, with some nice extra rules for Force users but limited access to what a Jedi can really do. The PCs you’ll be able to play will not be as powerful as the Jedi or Sith – heck, they’ll not be as powerful as Luke Skywalker in the movies – but you will get to touch on the all-encompassing Force and create some really good characters and adventures to roleplay out. This is just a precursor to the full rulebook, but if it follows the same track as the previous books then there won’t be too much difference between this and the final release. If this is the case, then this promises to expand the character options of the gaming group even further, and in turn help to expand the fun you’re going to have with the Star Wars roleplaying game. 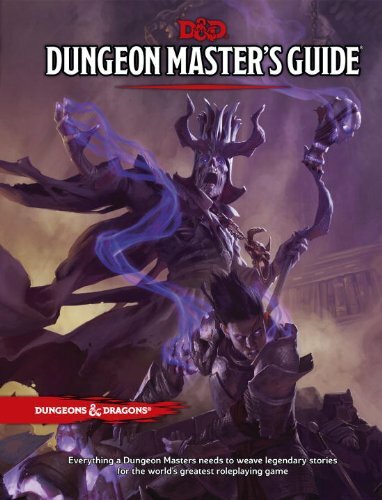 Now, I know this isn’t true for everyone, but to me a Dungeon Master’s Guide is one of those things that I always wonder ‘do I really need it?’ This is primarily because of my long history of gaming and the conceited self-aggrandising notion that I already know what I’m doing and I’m pretty darned good at it. Why would I want to spend a chunk of cash to get a book that tells me things that I quite obviously already know? ‘Pocket that dosh and buy more supplements’, I tell myself. ‘You know what you’re doing’. I just need to get something out of the way, and this is something I’ve addressed in my previous reviews of the first two D&D 5th Edition books; I still don’t like the cover design. The artwork is great, don’t get me wrong, but I don’t think the image suits a D&D rulebook cover and the lettering is still plain and uninspiring. That’s been my gripe about all these books – while the insides have been really well laid out with great illustrations, the covers have all been lacking for me. There’s a cracking picture on page seven that would have made a better cover. Trust me, though, that’s just a personal irk and doesn’t reflect on the quality of the interior. ‘Master of Worlds’ for world-building, campaign atmosphere and themes, and the general layout of the worlds of D&D. ‘Master of Adventures’ for adventures, encounters and NPCs. Oh, and magic items. Ooooh, those magic items. 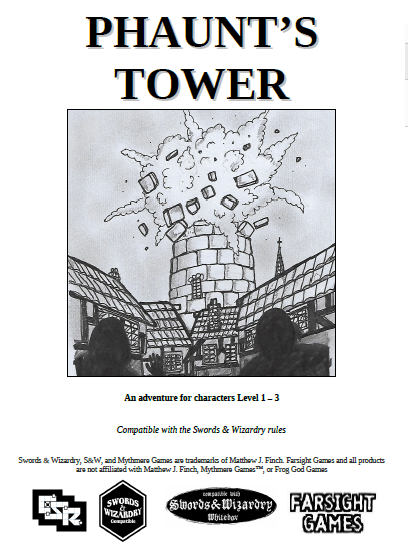 ‘Master of Rules’ for those of you who want to reach into D&D’s engine and tinker, along with words of advice on playing the game and different approaches to it, with guidelines on running adventures that’ll stick in the minds of your players. And this new DM’s Guide is very much that, a set of guidelines to give you some handy pointers so that you’re comfortable and confident in your DMing role. But it’s also so much more than that; in fact, this is more than a tome that helps you along the path to DM mastery with hints and tips on how to run a game, and how to utilise the rules touched upon by the Player’s Handbook. This book gives you the tools to stick your hands into the guts of the system and flail around like a first-year doctor on a rampage. It doesn’t just give you the ability to use the system to the best of its abilities, it also allows you to mix things up and create your own stuff, quick and easy. 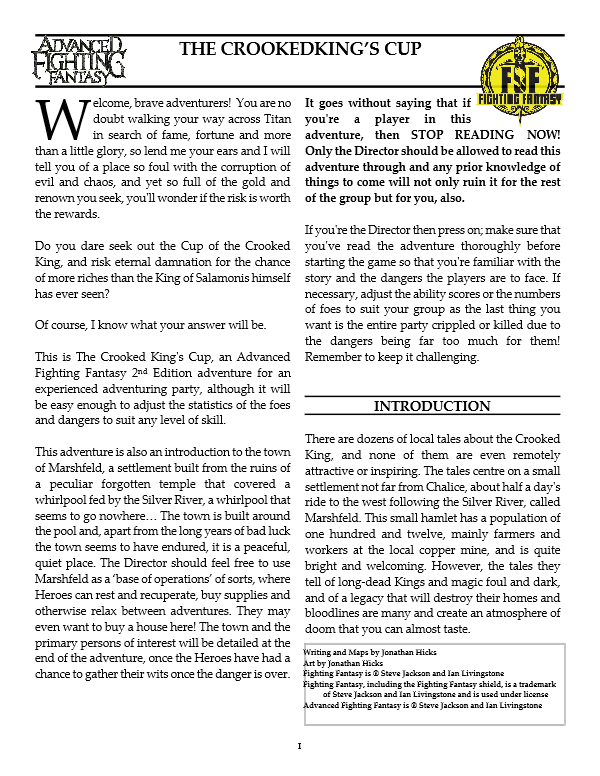 You’re getting the normal gaming advice, running adventure tips and extended rules to give the player’s a few surprises they didn’t see in the Player’s Handbook, but you’re getting a whole lot more besides that. You can make changes to the rules and add/take things away that you think might make the game more fun, which in turn enables differing levels of complexity. Want a more basic D&D game? Strip the rules out and play with what you have left. Want to go the way of the rules god? No problem. Just pile in all those optional rules and let the dice fly. Not only that, but there’s a lot of advice and guidance on creating your own world. This is fun and a great read and gives you plenty of ideas and inspiration so that if any of the new D&D campaign settings aren’t to your liking then there’s plenty of stuff here to kickstart your own world, and the easy-to-use monsters of the Monster Manual will help you populate it no problem. Old hands at worldbuilding might not find much to fuel their already burning creative flame, but newcomers to the idea will find it a great way to start. 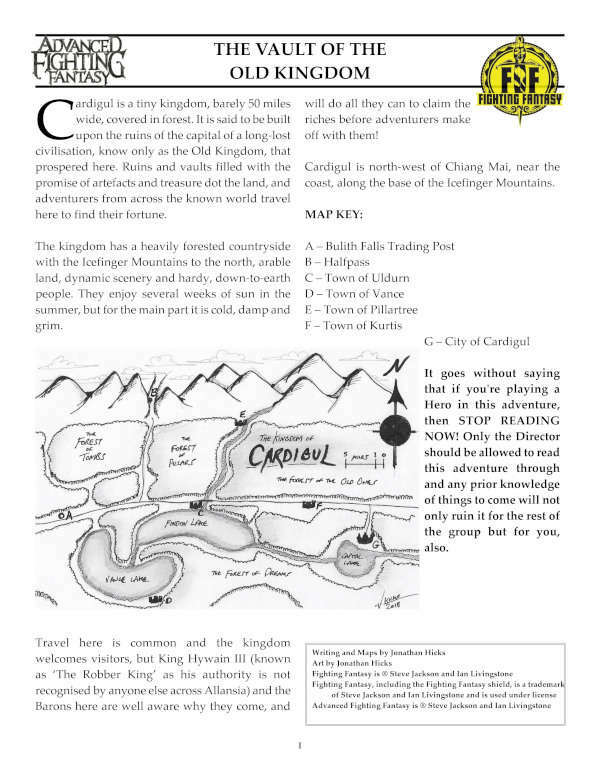 There’s also an adventure creation section that helps you with the campaigns that’ll no doubt take place in the world you just created, or the D&D campaign world you’re in. In the appendices there’s this neat little random dungeon generator, which we had a lot of fun with one evening as the DM created the dungeon on the fly and threw in random monsters and treasure as we went along. This felt a little bit like my first days of Basic D&D when we just had fun and weren’t too sure what we were doing and the DM was either struggling to make sense of it all or just winging it. Although it’s really to help design a dungeon before play, rolling the dice to see where we’d end up next was fun and unpredictable for everyone around the table. For a moment – and dare I say it - I thought the game had captured the giddy feeling of excitement and anticipation I used to have in my first days of tabletop RPG, but it was fleeting. Can’t wait to try it again, though. The magic in the book has a few magic items to play with. And when I say a few, I mean about a hundred pages. 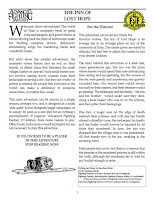 Along with the advice in the book that helps you create your own spells, this is a fantastic section that’s going to have players kicking down every dungeon door they see in the hope that they’ll get their hands on some of the things on show. Just let the players have a brief look at the pages and I guarantee that you’ll not have to worry about impetus, motives or reasons to go on that quest. The simple idea that they may get that random item will be enough to send any player character running out that door and into the greater world. There’s plenty in here that got me excited and will no doubt prove invaluable when I finally begin to run the two-book Tyranny of Dragons campaign later this year, but it’s certainly not for everyone. 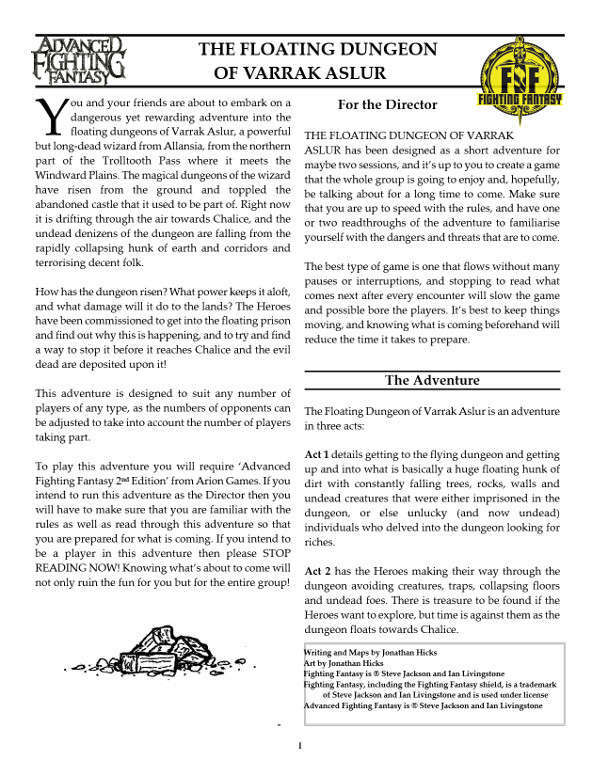 At the beginning of this review I said that I sometimes wondered if it was worth buying the DM’s Guide, and to be honest I don’t know how much use I’ll get out of this new book before I go back to my old habits and do things my way. The simple fact, for me, is that there’s plenty in this book to help me along with my 5th Edition games and make them a hell of a lot of fun. Not only that, now that I’m much older and my time is precious, the time it takes to create new things with this book is vastly reduced and that suits me just fine. No longer am I labouring over stats, threat ratings and challenges, I’m just throwing a few things together that might make the game fun. And that’s the thing about D&D 5th Edition as a whole; the game feels fun again. It’s quick and simple, and the rulebooks don’t feel like detailed stat-filled instruction manuals like they used to, but more like an enjoyable read that kind of sits you down and says ‘hey, take it easy, bro – it’s no big deal, just go with it’, and pretty much the only instruction is to do what you feel is right with the game and have fun with it. It doesn’t feel like it’s trying to set a standard that every gaming group must adhere to. It feels very much like a set of guidelines to help a DM and the gaming group as a whole play the kind of game that they want to play. That’s been my outlook on tabletop roleplaying games pretty much since day one. This final primary book for the D&D 5th Edition rules really is the cherry on the top of a fabulous RPG pudding, and I have a lot of love for it. So here it is; I’ve not been truly excited about D&D since 1989, and D&D 5th Edition is my favourite edition, period. I’m not into mathematics and I’ve never cared much for game balance, so I know that these books and I are going to be close friends for a long, long time. Farsight Blogger is still here. Things have been busy over the Christmas and New Year period, and with the long break comes a short period of 'getting back into things'. 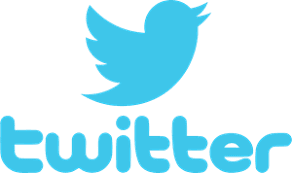 I won't be changing the format of the site but I will be adding new content soon. with reviews, interviews and random thoughts. If you'd like to catch up on some of my tabletop gaming reviews, they are all now available at www.rpg.net, so please click here for the full list of reviews that I've done up to yet.